Most of the time, I use jakeisfantastic.com to talk about comedy, share my #pigpics, or do a wackadoo goofytime. However, today, I am writing because we can help a comedian- and a friend- Aaron Arocha. While in New Orleans for St. Patrick's Day, Austin comedian Aaron Arocha separated from his group- to find an open mic. That is dedication! Everybody else was drinking and chucking beads, but Aaron Arocha wandered off to share the gift of laughter. Then Aaron fell down some stairs and broke his back. As you can see here, his thumbs contorted into a weird position too. 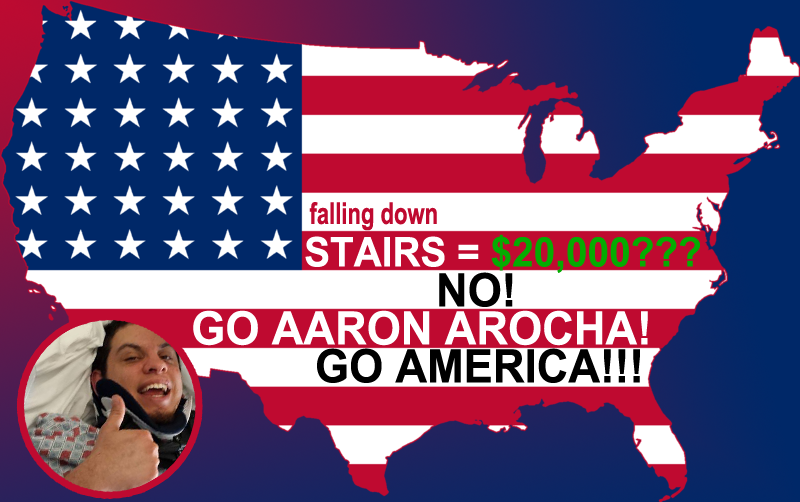 Stairs broke Aaron Arocha's back. But they can't break his FREEDOM! 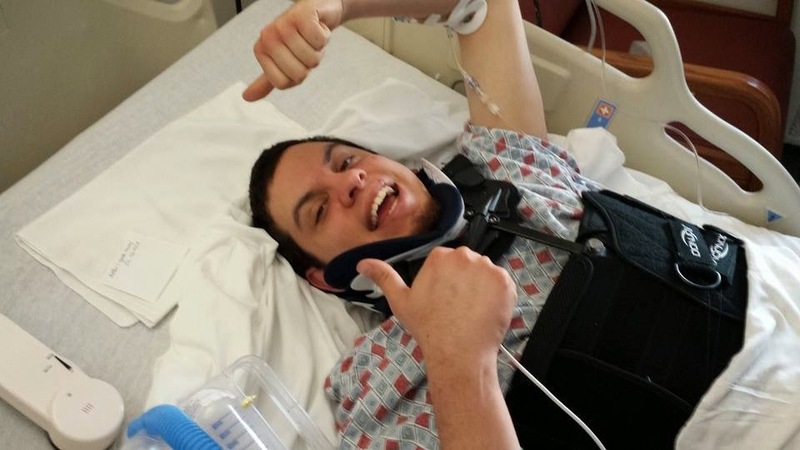 Good news: after several surgeries, doctors expect a full recovery- and twenty thousand dollars! In numerals, that's $20,000! Aaron Arocha is a comedian! So he doesn't even have twenty regular dollars- let alone twenty thousand dollars! Over a lifetime of accrued interest and potentially ruined credit, $20,000 worth of debt could become just as crippling as having a broken back. Does Aaron really deserve a life sentence because he can't navigate stairs? I say no. Let's bring our boy home! Let's get Aaron back on his feet! Let's get Aaron Arocha FIXED today!